Another example of how Gaudí found inspiration in nature. 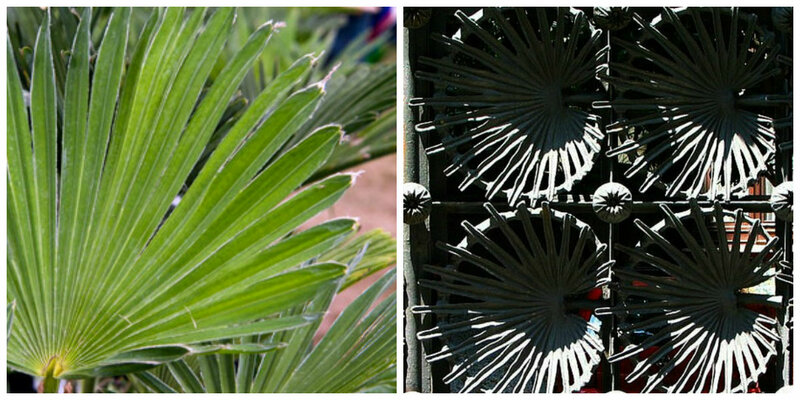 The iron railing of Casa Vicens in Gràcia, Barcelona based on the Mediterranean dwarf palm (Chamaerops humilis), Europe’s only native palm. Antoni Gaudí’s work was deeply inspired by the natural forms of the Mediterranean and its wildlife. Here, his famous pavement tiles (1904-06) along Passeig de Gràcia decorated with octopuses, anominites, seaweed and brittle stars laid out sinuously on a sandy floor. 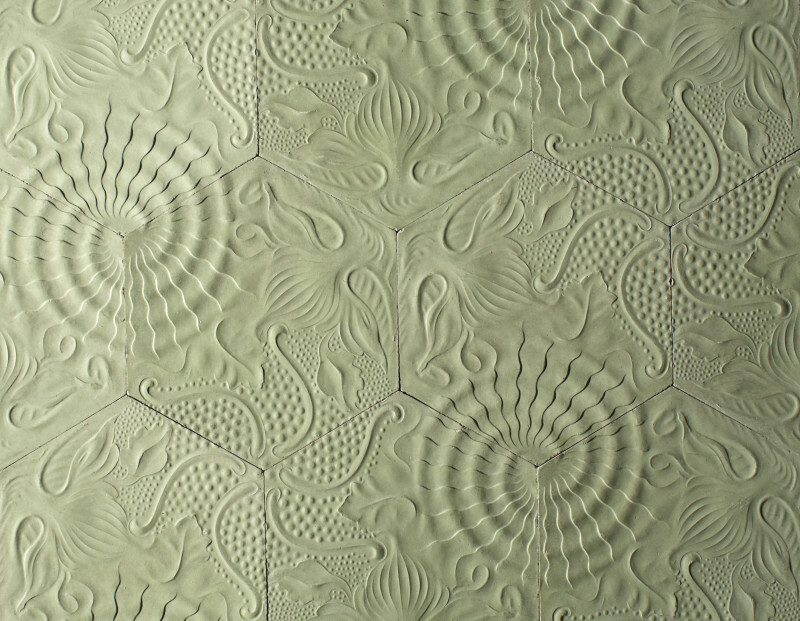 The hexagons are perhaps based on honeycomb or more appropriately given the marine theme on a turtle shell.. Image from Museu de Catalunya.